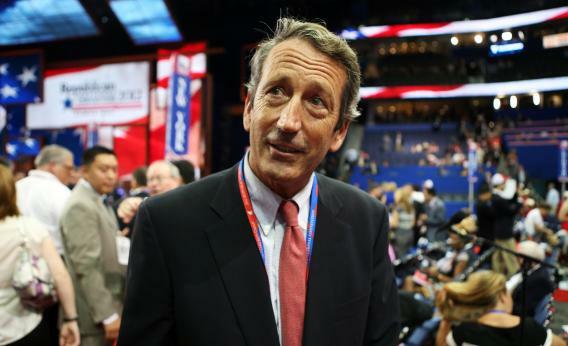 You have to give Mark Sanford an "A" - for audacity. It was a clever move to ask the wife he betrayed to run his Congressional campaign. He must have remembered how philanderer Gary Hart's wife told America that "if it (adultery) doesn't bother me, it shouldn't bother you." Fortunately, Jenny Sanford, who has more smarts and class than the Hart's and Mark Sanford combined, turned him down. We're glad Sanford claims to be repentant and we forgive him and wish him well, but repentance doesn't qualify one for the people's trust and the high honor bestowed with a seat in the United States Congress. We also think he was right when he used to rail against career politicians. Let's give the honor to someone who has earned it - a faithful husband, dutiful father, solid conservative and dedicated public servant. Larry Grooms will make a superb Congressman for South Carolina's First Congressional District. So when Mark came to visit her, he arrived with a proposal. "Since you’re not running, I want to know if you’ll run my campaign," he said. "We could put the team back together." Jenny told him, in so many words, that wasn’t going to happen.